As a composer, conductor and teacher, Frank Wiley, Ph.D., has demonstrated for several decades that he is a multitalented musician. 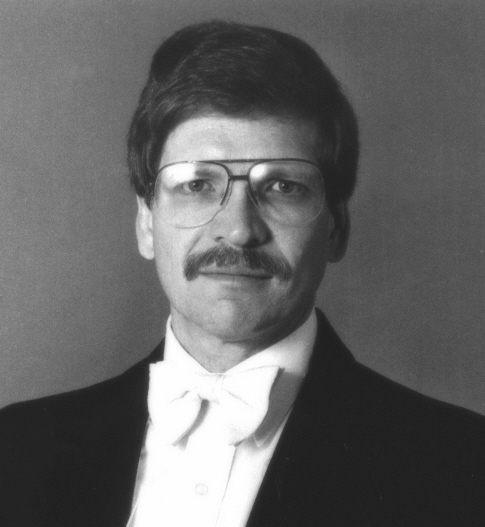 A member of the faculty of the Hugh A. Glasner School of Music at KSU, Wiley serves as director of the Kent State University New Music Ensemble and director of the Kent State University Orchestra. He teaches courses in composition, 20th century music and conducting. Wiley even wrote a couple of pieces specifically for Burritt, who has performed them and used them to teach his students. In May of 2004, for example, while teaching at Northwestern University in Chicago, Burritt included Wiley’s piece Earth Dances in at performance of the percussion ensemble at Pick-Staiger Concert Hall on Northwestern’s Evanston campus. The program also featured Burritt’s Marimba Quartet No. 1, Daniel Levitan’s Marimba Quartet and Bob Becker’s States Medley. Wiley’s music has been performed throughout the United States and in Europe, Asia and Australia by numerous orchestras, soloists and chamber ensembles. His compositions include a broad range of solo, chamber, orchestral, vocal, choral, multimedia and electronic music. Born in Richmond, Virginia, in 1949, Wiley received his bachelor of music degree in organ performance and his master of music degree in composition from the University of North Carolina. His doctor of musical arts degree in composition was awarded by the Cleveland Institute of Music and Case Western Reserve University, where his principal teachers were Donald Erb and Riger Hannay, and he studied conducting with Thomas Briccetti. Over the years, Wiley has received grants and awards from the National Endowment for the Arts, the Ohio Arts Council, the Bascom Little Fund, the Kent State University Research Council, the American Society of Composers, Authors and Publishers (ASCAP) and the American Music Center. In 1986 he was awarded the Cleveland Arts Prize for music composition, and in 1995 he received Kent State University’s Distinguished Teaching Award.